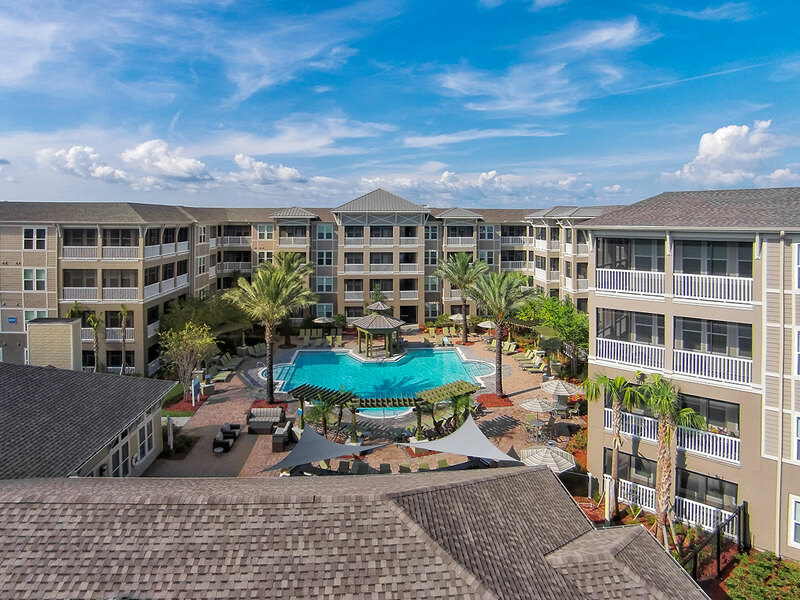 Azure is a luxury multifamily residential complex in St. Petersburg, FL, located within the Carillon Park mixed-use master-planned community. The development includes 308 luxury garden-style residences in seven three-story buildings and one four-story building with direct entry and detached parking garages. 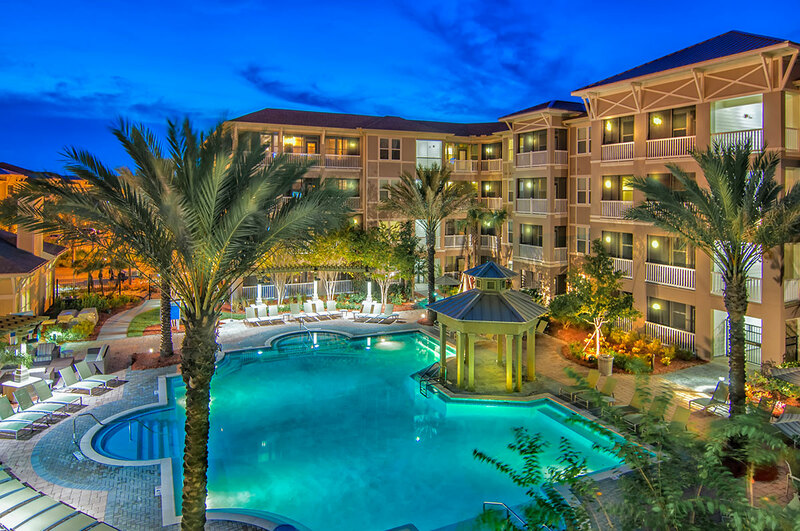 The complex features a best-in-class amenity package including a clubhouse, a resort-style swimming pool, a state-of-the-art fitness center, an Internet café and a sports lounge. Some apartments enjoy water views of Tampa Bay while looking across a pristine wetlands preservation. Residents enjoy a short drive to the region’s best beaches in St. Petersburg and Clearwater. Designed by The Preston Partnership, Azure’s architecture evokes a coastal style with buildings clad in clapboard siding, with shake accents, wide eaves, metal roof accents and stucco at the buildings’ bases. The project’s one-, two- and three-bedroom apartments range in size from 655 to 1,376 square feet and include high-quality finishes. 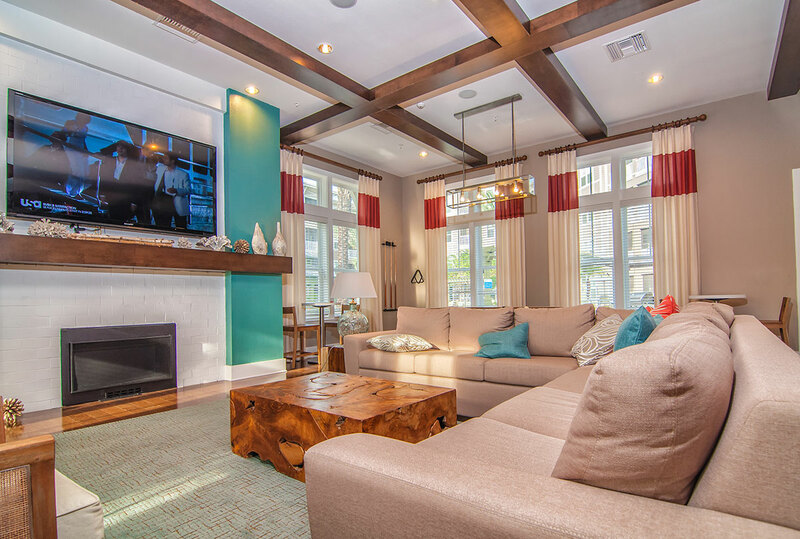 General Contractor Urban Oaks Builders completed the project in October 2014. Hines sold the property in March 2015.